You might want to sort the results of an query in a different order from the traditional sort (Ascending/Descending) order. 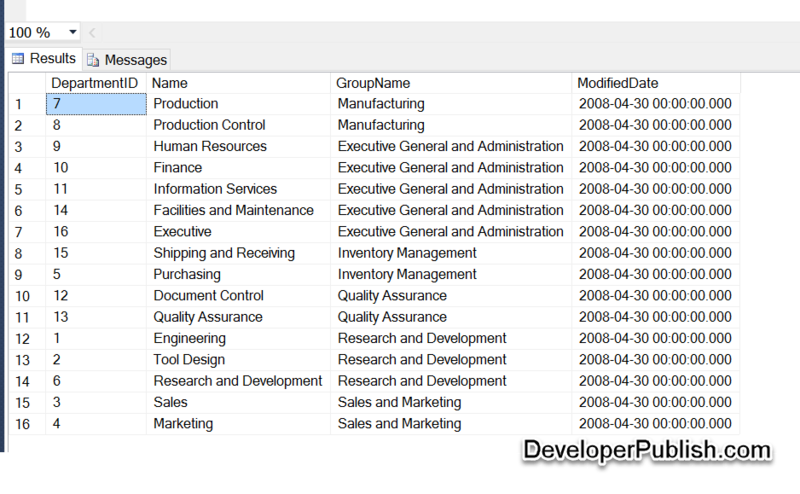 For example , you wish to sort the Department records by GroupName and force the GroupName “Manufacturing” to be sorted first. How to use expression to sort records in SQL Server ? You could do this by using the expression which would provide the sort order that you require. Here’s a sample query demonstrating how this can be done.